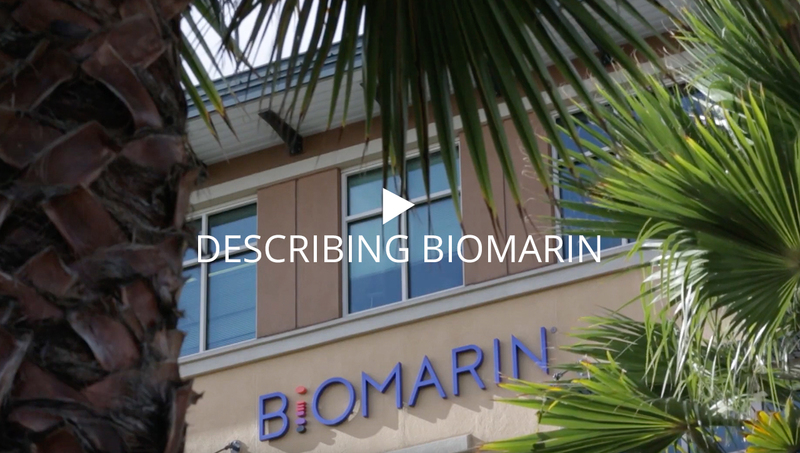 At BioMarin, we focus on developing first-in-class and best-in-class therapeutics that provide life-changing advances to patients with rare genetic diseases. Mostly children, our patients suffer from diseases so rare that the entire afflicted population may number as few as 5,000 worldwide. Often inherited, difficult to diagnose, and progressively debilitating, these conditions have been largely ignored — until BioMarin. Understanding that time is critical, we develop and commercialize new treatments at a significantly faster rate than the industry average — which reflects the urgency we feel to help. Throughout our history, our focus has remained the same: We are a place where people do work that delivers hope. We are committed to our people, our patients, and our purpose. And we are passionate about what we deliver.